Benjamin Osen is a craftsman of sculpture and object who injects whimsical possibilities into the ordinary articles of life. 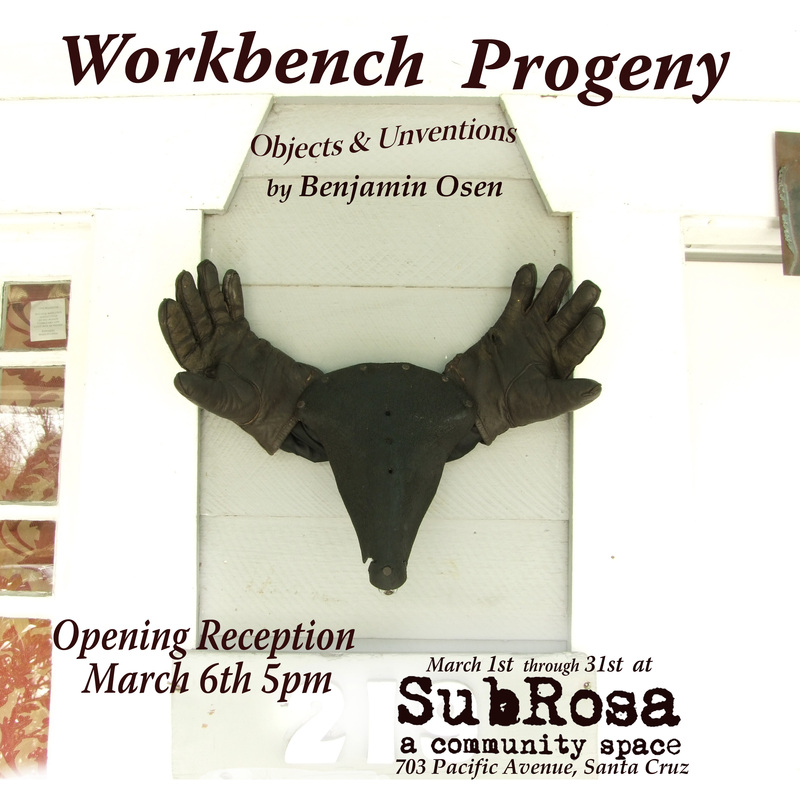 Born and raised in Feather River country, Northern California, Osen is an artist interested in histories as they are told by objects. Formally trained as a sculptor, his work praises the unnoticed beauty all around us, while inescapably engaging the world of fine art. Workbench Progeny exhibits Osen’s ability to create aesthetically beautiful works that remain grounded by their references to function and usefulness. Challenging the function-over-form mentality of DIY and Homebrew culture, he envisions the homemade object as an outlet for artistic refinement. Focusing on the tools of his trade, Osen transforms memories from his background in construction into tangible items that stand as works of their own.